When you own a landscaping business, your usual workday probably includes some lawn maintenance – cutting grass and removing debris such as grass clippings, fallen leaves, and even twigs. That is where a heavy duty, commercial backpack blower comes into play. 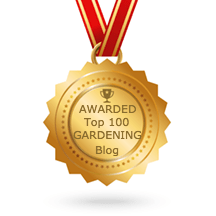 As we are really into this interesting topic, here at Gardening Wizards, we group-tested some products as and made the joined effort to create the guide on how to select the best product. Continue reading to find out how to pick the best commercial backpack blower available to make your job a lot less tiring. What is a backpack blower and how does it work? We’re sure the name explains it rather well, but before we start talking about benefits and features to look for, let’s take a minute to define the product. A leaf blower is a gardening tool used to maintain lawns by moving grass cuttings and leaves; a backpack blower is one of the three types of this tool available on the market. Other two types are the handheld and the walk-behind leaf blowers. All of the mentioned models have their pros and cons, but right now we’re focusing on backpack blowers. 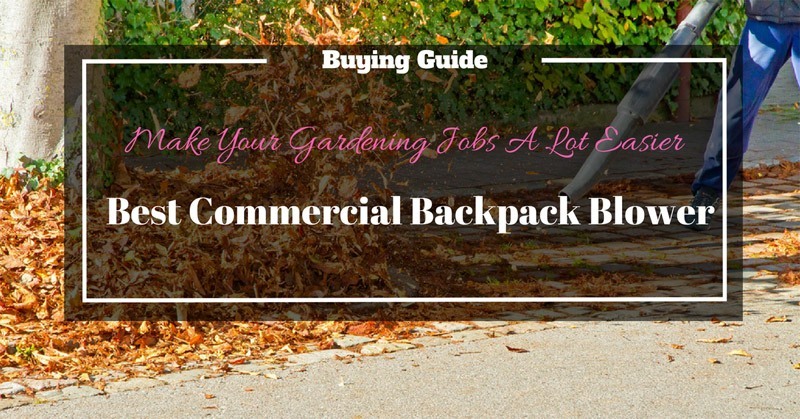 Whether gardening work is something you do for a living or just a part of your household chore list, it is up to you to make it as easy as possible on yourself by buying mechanical gardening tools, one of them being a backpack blower. Here at Gardening Wizards, we think it’s obvious why we recommend a backpack over a handheld blower – it’s way easier to move it around. Since you won’t be holding it in your hand, you’ll avoid a lot of unnecessary fatigue in your arms and shoulders, which is always a plus when your job is landscaping, and you spend your workdays maintaining gardens. Who honestly wants to spend an entire afternoon removing debris from a lawn? We’re pretty sure the answer is – no one. Old fashioned gardening tools used for lawn maintenance – rakes, for example, take a lot more time out of your day and when you finally finish, you’ll be left with aching muscles and zero energy. Trust us; nothing will speed up your gardening work as a backpack blower. Before we get to the actual models we’ve picked out for you, we would like to take a moment to talk about the features that you want to look for in a backpack blower. We recommend you use this guide to decide which of the models available on the market suit your needs the best. Gas-powered – When dealing with larger areas, opt for a gas-powered blower – its run time and mobility aren’t determined by the same factors as with electric-powered ones. Also, they are capable of delivering way more power than electric-powered ones. Electric-powered – A leaf blower will make a lot of noise either way, but these tend to be the quieter ones; the emission is also minimal when you’re using these. You can choose between a corded and a cordless blower; when deciding on the electric-powered one, keep the size of the yard in mind, as you’ll be limited either by the cords length or the battery life. When it comes to gasoline-powered blowers, they can have two types of engines – 2-cycle and 4-cycle ones. The first one operates on a special blend of oil and gas, but is lighter and easy to maintain; the second one uses only gasoline but requires frequent oil changes. Airflow is what determines how powerful the blower will be; it’s measured in cubic feet per minute (CFM). Some blowers will have an MPH rating, too (miles per hour), which may sound to you the same as the previously mentioned CFM, but it’s not. When deciding what amount of power you want in a blower, focus on CFM, as it shows the amount of air that’s pushed out at a time. Even if it seems powerful, ask yourself if the model you’re thinking of buying will be able to move not only grass clippings and dry leaves but also wet leaves and heavier things such as twigs. A leaf blower is a noisy tool, that’s just how it is. That, including the problem with emission, is why in some states, these gardening tools are forbidden by law, or they can only be used for a limited amount of time during the day. No matter which model you choose, wearing earplugs will be a must – safety always comes first, so remember to protect yourself from these noisy engines. This is something you should always keep in mind when you’re looking to buy a particular product. However, it shouldn’t be a deciding factor since here we’re talking about a gardening tool you’ll use to make your job a lot faster and less tiring. The features mentioned above are the criteria we’ve used while creating this list and picking out the best commercial backpack blower on the market in 2017. This model is a truly powerful, made for commercial use, and is capable of handling all your gardening tasks; it’s capable of offering pure blowing strength, but can do the finer jobs as well. That’s because once you start the engine, you can adjust the airflow. It is the first Husqvarna model on our list, and we find it to be one of the best backpack blowers from that manufacturer in general. Let’s start with the engine – it is a 2-stroke X-Torq gas powered engine that will provide amazing airflow. Regarding speed, we’re talking about 232 MPH, and when it comes to airflow, it goes as high as 632 CFM. Even with all this power, it is very fuel-efficient and produces less emission than most other two-cycle engines. That is what makes it stand out when compared to other products on our list. When it comes to user experience, it is a bit heavier unit, which is something you should expect with the strength it brings to the table. The shoulder straps are well-padded, and their design distributes weight well, but considering how heavy it is, some users may have a problem with handling it for extended periods of time. All in all, if you’re running a professional landscaping service, this is a gardening tool you want to have at hand – capable of handling everything from leaves to snow. This Makita model is considered to be one of the most powerful ones among the commercial backpack blowers currently on the market. It is equipped with a fuel-efficient 4-stroke engine capable of delivering high air volume (526 CFM) and speed (195 MPH), which makes it ideal for commercial uses. Being a 4-stroke means it uses regular gasoline, not the oil and gas mix. It can deliver up to 80 minutes of constant operating on a single tank fill. It’s worth mentioning that it meets EPA standards concerning emission and exhaust, which is a great addition – we’ve previously talked about CARB-Compliant feature as something you should look for in a blower. Even though it has a large capacity muffler, a lot of users still think it’s a bit too loud, so the noise pollution could be something the manufacturer should work on improving. Also, there were some complaints about the blower vibrating, but before we jump to conclusions, we need to remember that we’re talking about a powerful, gas-powered engine, so the vibration shouldn’t be such a surprise. When it comes to the price, it is one of the more expensive models on our list, but considering the power it’s able to deliver, we do think it would be money well spent. Right from the start, it seems somewhat obvious that this backpack blower has a design that primarily focuses on the comfort of the user. First of all, the shoulder straps are adjustable, and the backrest is padded in a way that provides upper and lower back support. Both of these features will come in handy when you spend an entire day operating this backpack blower. Another thing worth mentioning is the fact that the back pad’s design provides venting; this is an ECHO innovation that allows air to circulate, so you’ll stay cool even during hot summer days. When it comes to the blower itself, it has a 2-cycle professional grade engine. It can create a maximum airspeed of 215 MPH and provide maximum airflow at 510 CFM. If you compare it to the other models on our list, it becomes clear you’d be working with a serious piece of gardening equipment. It will provide enough airflow to move not only grass cuttings and dry leaves, but twigs, wet leaves and, according to some users, smaller stones, too. Four springs will serve as an anti-vibration system; you will be able to see the engine shaking as you turn the blower on, but none of that will affect you as a user. It seems Husqvarna is focused on manufacturing top-notch, reliable commercial leaf blowers, as this is one of the two of their models that made it to our list. These things are designed to do the most demanding tasks effortlessly. The strength comes from a 2-cycle X-Torq engine, made to increase fuel efficiency by up to 20 per cent and reduce exhaust emissions by up to 60 per cent. However, it uses up a lot of gas compared to some other models. But the fact that it’s capable of working at an extremely high CFM for hours without stalling has to make up for it. When it comes to comfort, two things are worth mentioning. It is a massive piece of gardening equipment, which is something you should expect because of the large, powerful engine. The good thing is that thanks to the harness, the weight of the blower is distributed rather well. The wide shoulder straps make it more comfortable to carry around, and in case of longer working hours, you can use the waist strap to reduce the load additionally. Also, this type of power comes with loudness, so you shouldn’t be surprised it isn’t one of the quiet models; always remember to wear earplugs. A big plus for this model is that it is the most budget-friendly one on our list – there’s a nearly $300 difference between this one and our most expensive pick. Even though we can’t say that the lower price automatically means lower quality standard, you need to keep in mind that you can’t expect the same level of performance. But this is still a rather powerful gardening tool, capable of producing 475 CFM and 200 MPH, which is no way negligible. For a rather reasonable price, you will get a blower with some great features such as a heavy-duty frame, soft grip handles, and variable speed control. When it comes to comfort, which is important when you’re dealing with a 22-pound gardening tool, here at Gardening Wizards testing area, we are more than satisfied. The contoured, oversized and adjustable shoulder straps minimize the strain this backpack blower puts on the user and the padded harness only adds to the comfort factor. One of the main flaws is the fact that this blower is loud. You will need to use earplugs or some other type of ear protection because working without it might badly damage your hearing over time. Also, there’s no mention of anti-vibration system, which means you will feel this one working. All the factors mentioned above make this an ideal product for small business owners, who are not as ready to spend large amounts of money on a piece of equipment but still want a certain quality standard. The end of the article is when we pronounce the winner and the holder of the title The Best Commercial Backpack Blower. After some careful consideration, we’ve decided that it should be the Husqvarna 560BTS 2-Stroke X-Torq Backpack Blower, as it offers the best price-to-quality ratio. It is a well-built gardening tool that will make your job a lot easier, no matter what the conditions are. We know we should only name one winner, so consider this to be the second best - in case you’re willing to spend some more money on a backpack blower, we’d like you to keep the Makita BBX7600N 75.6 CC 4-Stroke Backpack Blower in mind. These are our choices, but we encourage you to make the decision on your own using our buying guide, because you know which model will fit your needs best.